This was a rescue job on a Magento 1.3 site which had been poorly done. The previous agency had some nice design and content ideas, and had done an acceptable job of customising the Magento Modern theme. However, the SEO was absolutely appalling (all the content had been rendered as images), and there were a whole raft of useability mistakes that meant the site wasn’t performing commercially. All of the content was re-rendered using HTML and CSS. 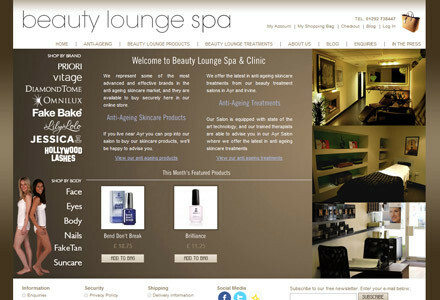 The home page was reconfigured for Featured Products. The taxation was set-up, and the images and product page layout redone. The default callouts were removed. Shipping was set up and the cart was customised to include the shipping cost at the cart stage. I also created user documentation for the client. I recently integrated a WordPress blog into the Magento site to allow the client a platform for optimised blogging.